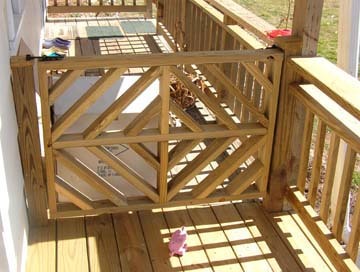 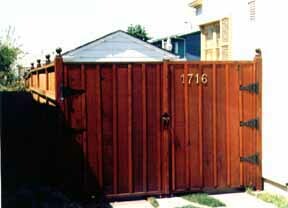 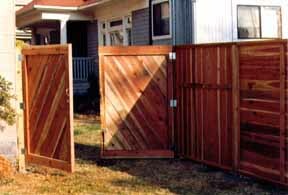 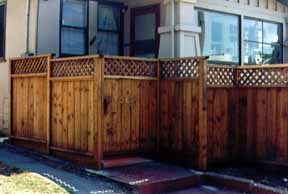 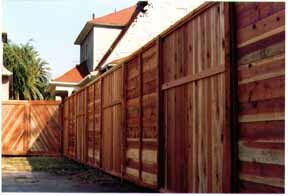 Some Decks, Covered Decks, & Fences. 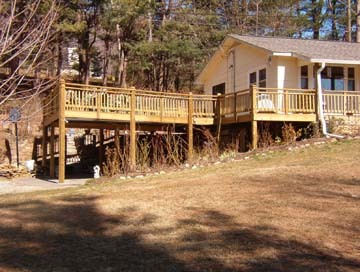 Asheville deck also doing duty as a carport. 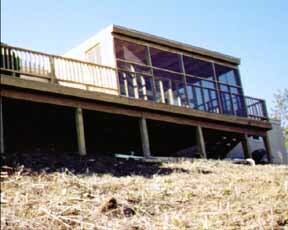 870 sf total area. 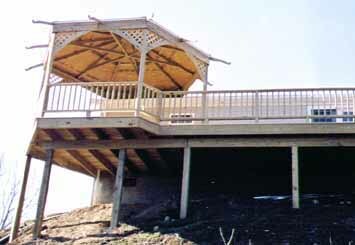 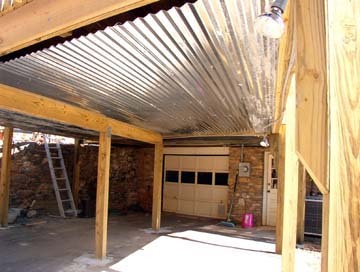 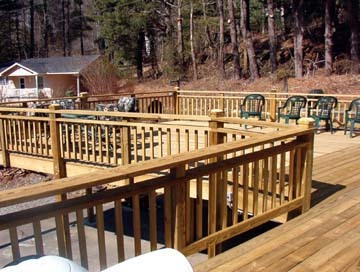 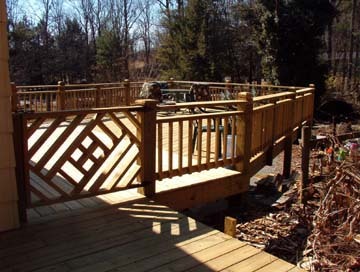 A deck is really a porch if you put a roof on it. 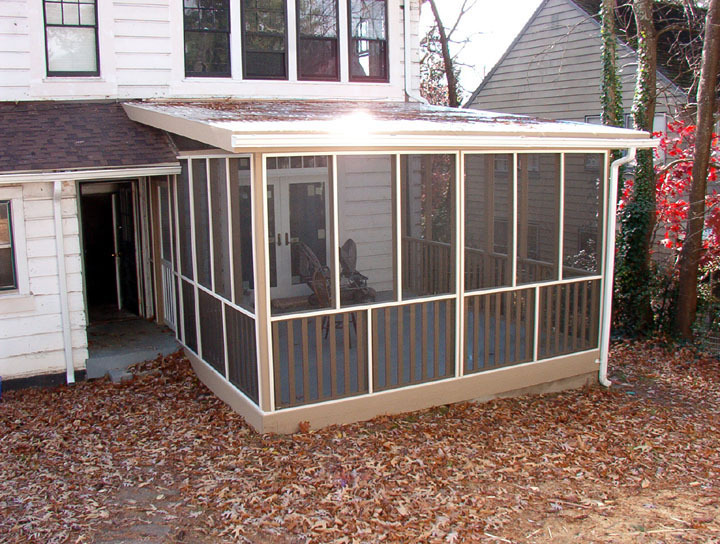 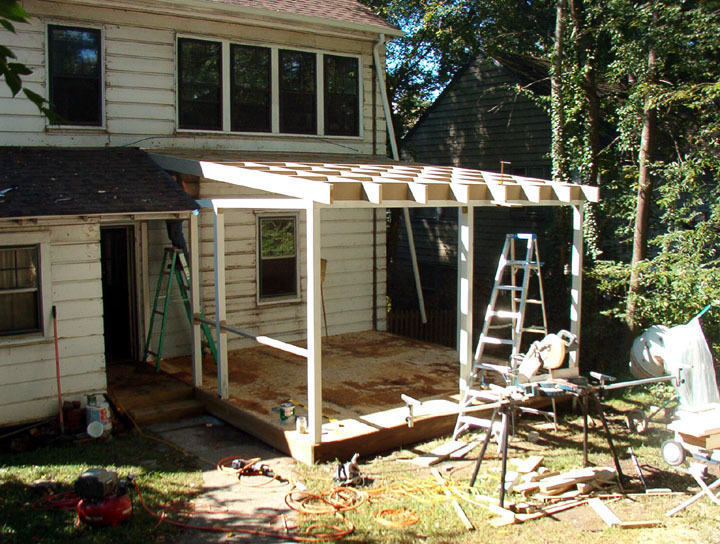 At one end of her 60 x 12 foot deck this customer wanted a stand-alone screened porch... ...at the other she wanted a gazebo roof with a little cupola on top ( not shown ). 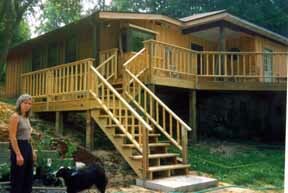 This customer was happy with stair access to front and back of her mountain hideaway. 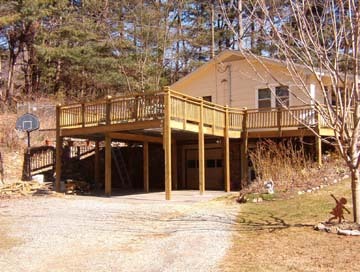 Joe did a complete make over of this house, by the way, roof, windows, doors, siding, gutters, interior framing, sheet rock, flooring, new half bath, kitchen remodel, whole house re-wiring, plumbing upgrade, and stone work for back patio and interior chimney. 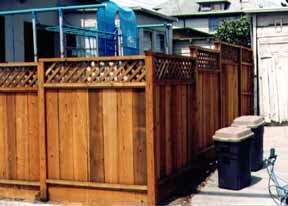 He didn't take pictures, though, or if he did, he can't find them. 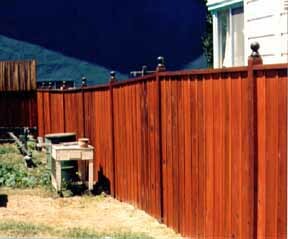 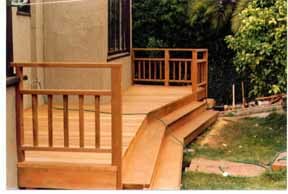 A simple but elegant redwood deck from Joe's earlier days in California.